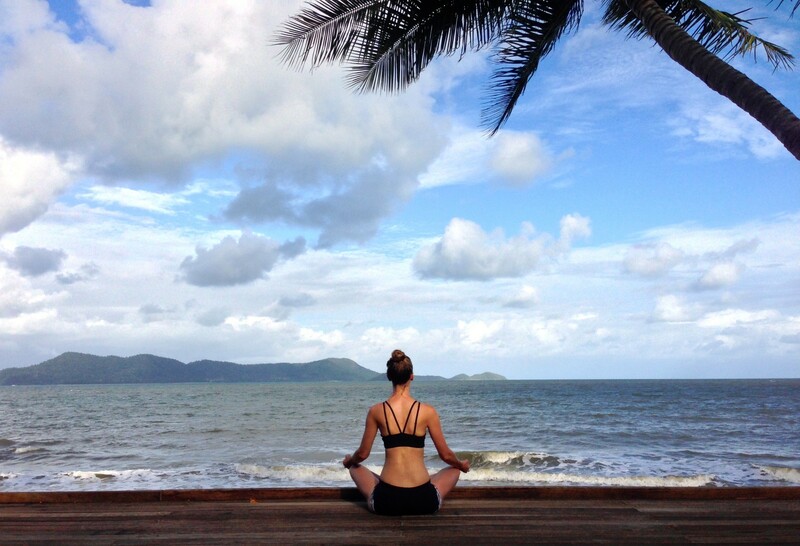 I have just returned home from the most blissful three days away with a group of Yoga Goddesses at my Island Retreat. 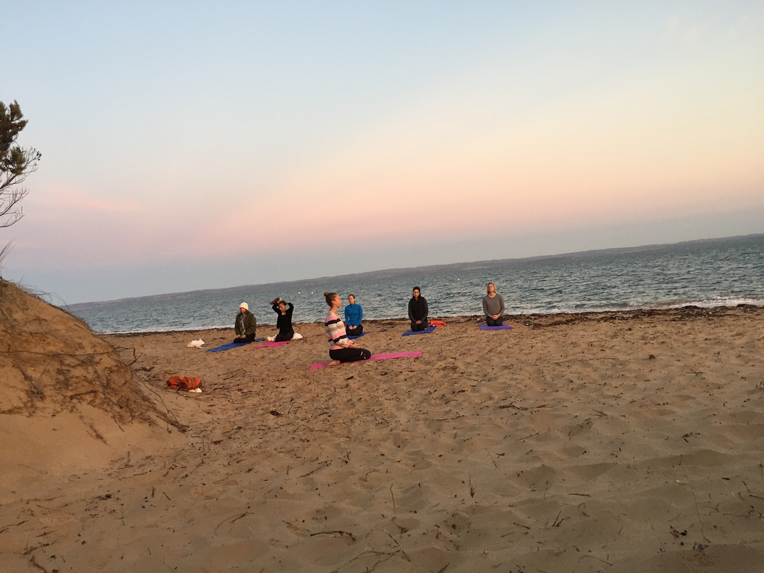 It started with Sunrise Yoga on our Private Beach at Phillip Island. The girls prepared to awaken their souls. 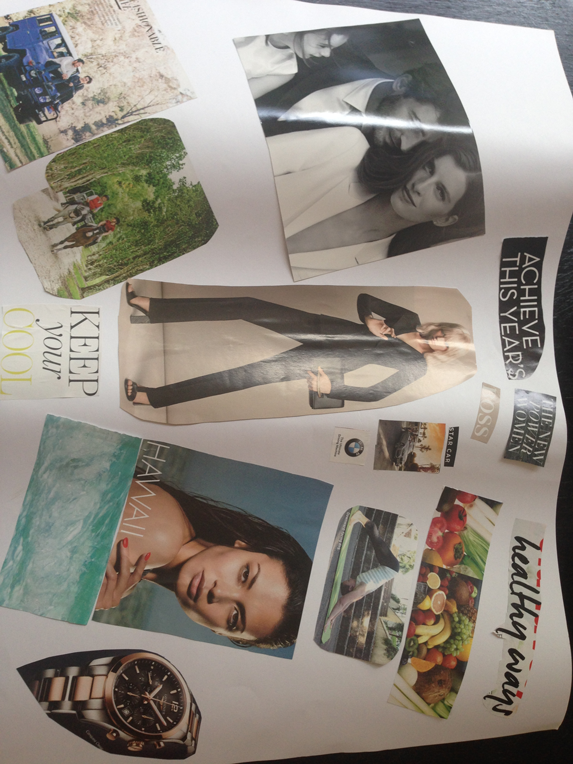 The girls awakened their hearts and set their visions for 2015. 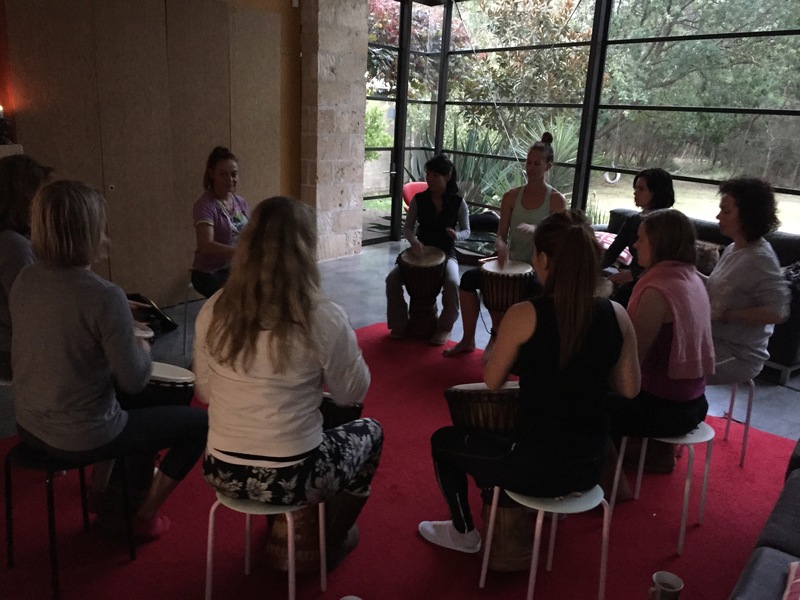 The law of attraction Workshop set everyones hearts on fires as we mapped out a desires for 2015 & beyond. 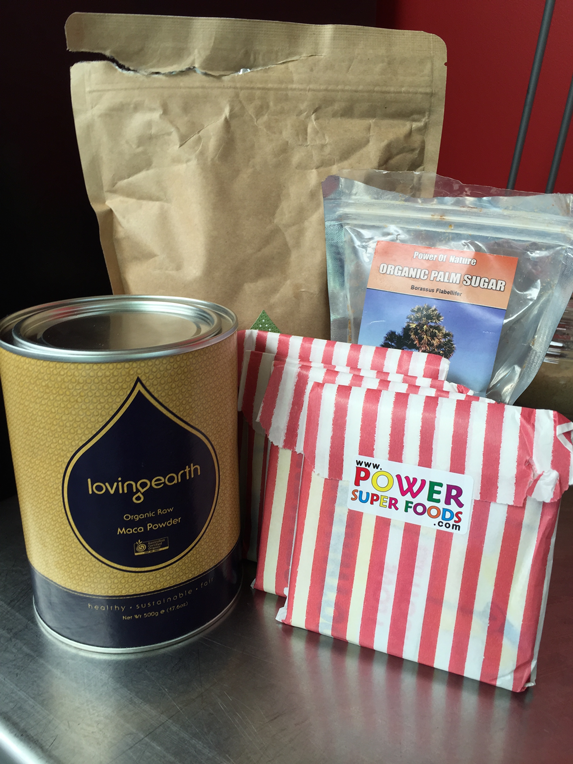 Thank you to our amazing sponsors: Loving Earth for the Maca & Cacao Powder which equalled the best hot choccys in the world. Accompanied by LuvJu Choc Chip Turkish Delight bars and cleansing Lemon grass teas. Who would dream a hot chocolate promoted fertility, mood balance & was filled with vitamins! This has become my Autumn drink. A massive thank you to Heidi & the team at Power Superfoods. We loved learning about Acai Powder originating in the Amazon & fuelling a goddess yoga body with powerful antioxidants. My Goddess smoothies will be packed full of their super foods in the weeks to come. Sukin generously shared their luxurious Hydrating Body Lotion for all the girls to pamper themselves with! Loving this Organic Australian Brand. I am so excited to support Loving Earth and Power Superfoods as they contribute to a more loving world through sustainability. Day 2 we woke to 30 degrees weather & put our bikinis on for the last time this autumn to hit that pristine beach. Here the girls can be seen cooling down with Jax Cocao coconut water. The eve of our first night in this palace listening to the waves lap against the shore we got our bongo on with a drumming workshop. After our time together the girls all played in time. My Dj partner fails to concur in this one but we all felt right on top of it! 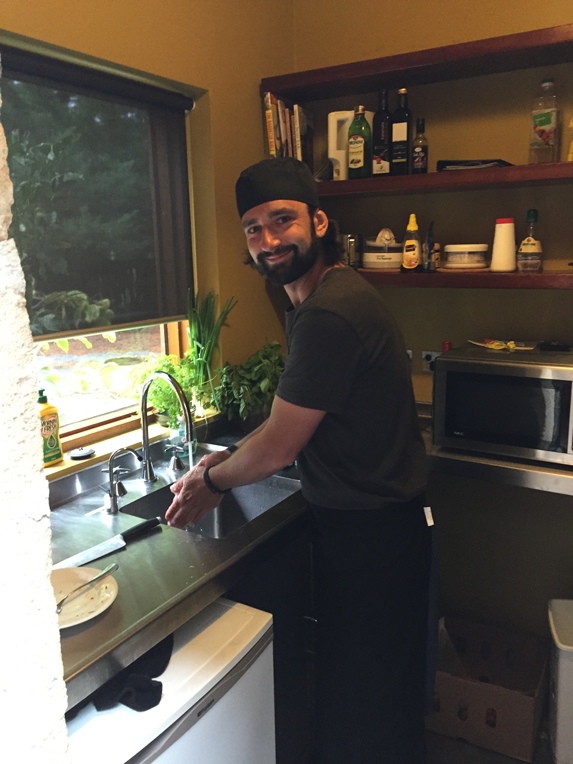 The Goddesses dined on organic food from fresh sushi to an Italian Banquet and fresh juices from our fine chef Marco Here he is getting his craft on. As we neared closer to the end, a few tears were shed and promises to keep in touch. 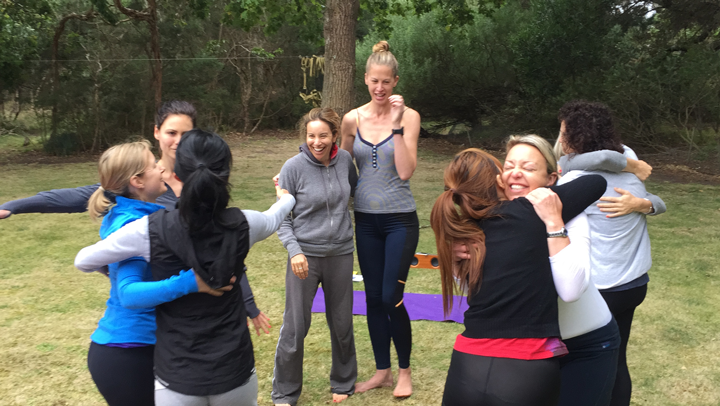 Most women felt a magical connection from moving together to yoga, meditation and opening up in the workshops. We all cruised home over the sparkling ocean knowing we’d left a piece of us behind & were ready to move forward with the best of us yet to come. 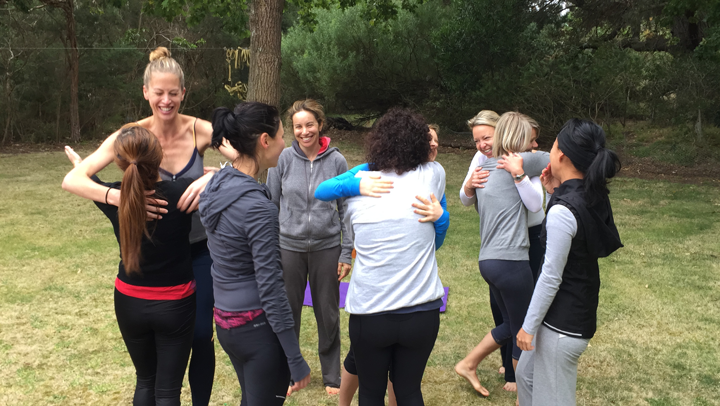 ← Sacred Places Yoga Retreat 001 a HUGE success! T’was truly a slice of heaven, the Retreat at Phillip Island.